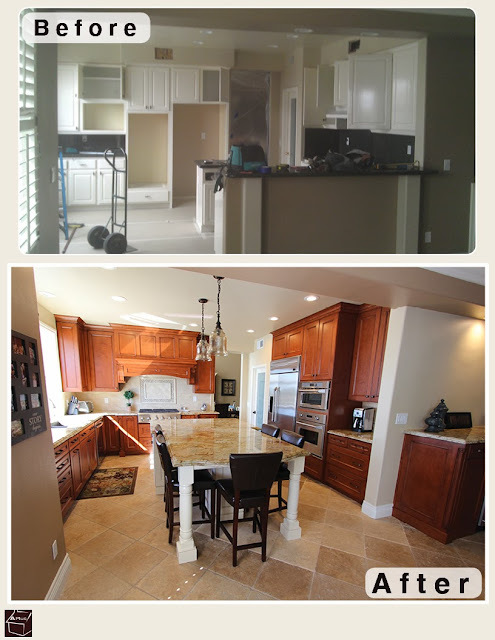 I'm sure you've all seen Chad before on our other videos, I was able to catch him at the end of complete kitchen remodel that we did in beautiful city of Dove Canyon Orange County. In this video he's going to show everyone some of the functionality of APlus custom kitchen and how the quality is completely different any other brands out there. There are some before photos as well below which can give you a better idea how this kitchen turned to this beautiful final product. Enjoy.